This simple request is so frequently thrown around in encounters and professional settings that it often gets overlooked. But without a well-thought-out answer prepared, you could be missing out on an opportunity to build your brand and share it with others. Because branding yourself in business is all about marketing your brand in a memorable and authentic manner, knowing and owning your own personal narrative could help strengthen and solidify your brand. Business storyteller Karen Dietz recently wrote of the importance of defining your narrative on Curatti. As Dietz puts it, a personal narrative is a “collection of your stories that help generate your personal branding.” These stories make yourself seem more real, more interesting, and more believable. They set the backdrop of your brand. A personal narrative tells your story. Everyone has a narrative, but some of us haven’t discovered how to best articulate it yet. Whether it’s a common theme in your life, or a lightbulb moment, your personal narrative should consist of a story or stories that get down to the essence of what drives you to do what you do. 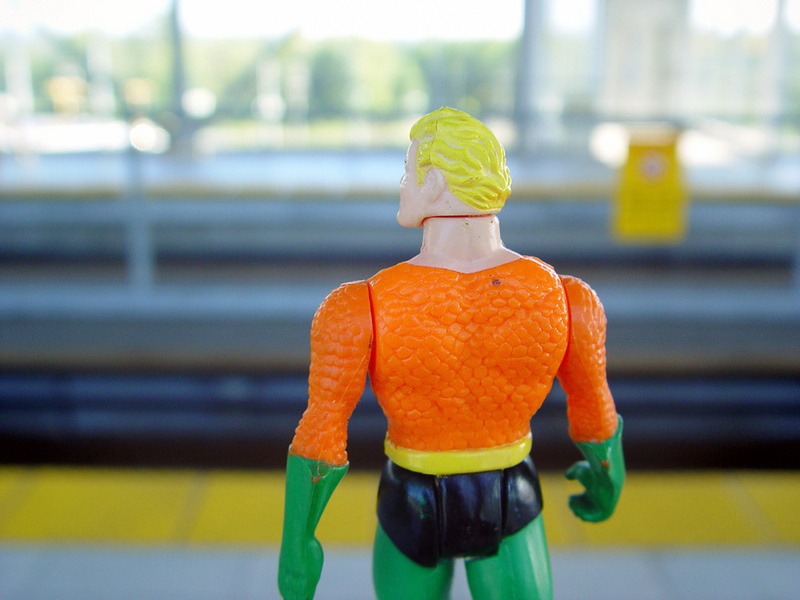 Dietz recommends using Big Fish Marketing’s superhero approach, in which you tell your narrative through a heroic quest. Provide an example of adversity you not just overcame, but triumphed. Be the superhero in your own personal narrative. Source: Flickr. Whether you are a rags to riches story, learned from your failures to become a success, or were an underdog only to end up on top, play up the storyline without dwelling on personal hardships. Because branding yourself in business is about playing up your strengths and achievements, this strategy will allow you to show them off without coming across as whiney. Check out Big Fish Marketing’s list of narrative-shaping ideas for more ideas and inspiration. Once you have drafted up a personal narrative, what do you do with it? First thing, practice saying it. Make it sound natural so when you are inevitably asked, you’ll be prepared with an answer. Once you’ve mastered it conversationally, take it to your personal website. If you don’t have one yet, get signed up with Squarespace, which will allow you to create a domain in your own name for ease and accessibility, and let you create the perfect About Me page. This is the perfect place for your personal narrative to be on full display, and it will add a personal touch to your site. Check out this article for more tips on mastering an About Me page. Lastly, Dietz stresses you cater your personal narrative to your audience. Because branding yourself in business is about establishing an image, why not customize that image to each audience? You can alter the style and tone of your backstory without changing your message. Whether you’re telling your narrative to other professionals at a networking event, to a prospective employer, a client or customer, or a new acquaintance, address your relevant strengths and experiences while keeping with your narrative’s backbone and your personal brand. Have a unique take on your personal narrative? Share it with us! Leave a comment below.